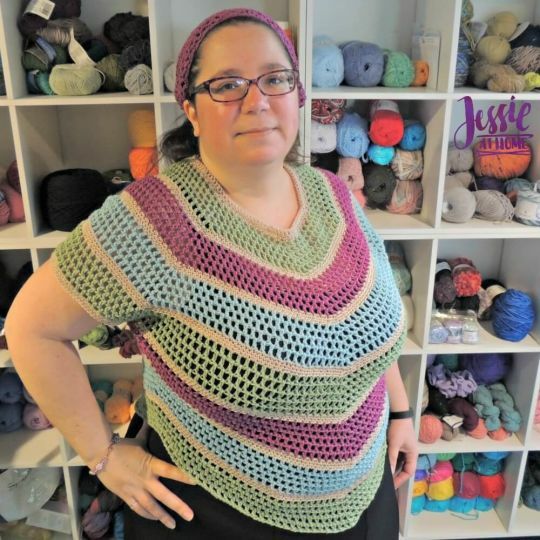 The Hexed top is a great spring or summer piece that can be worn over a swimsuit or tank top. Hexed is flattering for all body types and comes in a variety of sizes. The sample is made in 4 colors, but it can be made in 2 or 3 colors as well. Really nice, and I love the colors!